The fight is for second place, of course - the Wii is still far and away the dominant console of the current generation - and the Xbox 360, with 45.2 million units sold worldwide, has a slight edge over the PlayStation 3, which has notched up 41.2 million units sold. 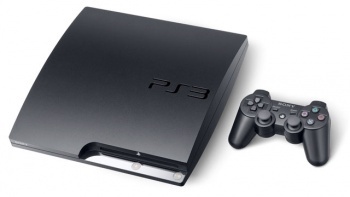 But in spite of that lead and the apparent advantage of Kinect over Move during the vital holiday quarter, 2011 could be the year that the PS3 actually moves ahead of its Redmond rival. There are several reasons, according to the analyst group. Sales of the redesigned Xbox 360 have been strong but software sales haven't kept up, suggesting that many of the new purchases are replacements for broken hardware or secondary systems in the same household. The PS3, on the other hand, came out almost a full year after the 360 and has shown steadily climbing sales numbers ever since. The PS3 also has a big edge in Japan, where it has outsold the 360 by about four to one and where the Kinect is apparently "off to a pretty rough start." And although Move may be slower out of the gate that Kinect, DFC says the "huge plate" of PS3 exclusives like Killzone 3, LittleBigPlanet 2 and SOCOM 4 that are expected to ship next year could drive sales enough to make up for it.